When a person is considering starting a business, one of the first questions that often arises is which state to incorporate in. Many people simply choose the state in which they live and plan to do business, as it often seems to be the easiest and simply makes sense. In many cases, the decision to incorporate in your state of residence is perfectly fine and has no real long-term impact. It is important to note, however, that the choice of jurisdiction in which a business is incorporated has the potential to have a significant effect on a company’s tax liability and the way in which the business is run on a day-to-day basis. For this reason, anyone who is considering forming a business should discuss his or her options with an experienced Silicon Valley startup attorney familiar with corporate law throughout the United States. As this list above should make clear, where a company chooses to incorporate can have an impact on almost every aspect of the way a business is run. For this reason, it is important to thoroughly understand the laws of the state in which you may incorporate and to retain counsel that will advise you as to how state law will affect you. 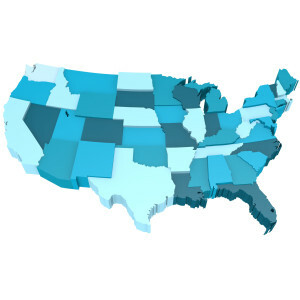 Two of the most popular states in which to incorporate are Delaware and Nevada, largely due to their favorable tax codes and the flexibility of their residency requirements for owners and shareholders. Individuals that are considering starting a business should carefully consider the state in which to incorporate. While the laws regarding incorporation and the tax treatment of businesses can seem very similar to the untrained eye, there are often significant differences that can have a direct impact on the success of your business venture. The lawyers of Structure Law Group, LLP are skilled and knowledge San Jose business attorneys that are dedicated to meeting the legal needs of businesses of all sizes and in a variety of industries. To schedule a consultation with one of our lawyers, call our office today at 408-441-7500. Prospective clients can also reach the firm by using our online contact form.